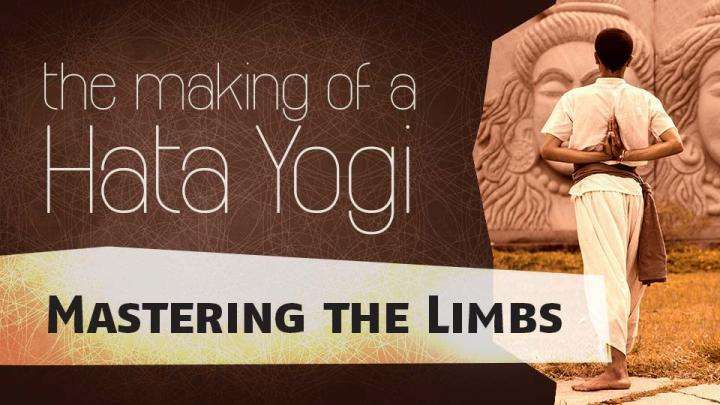 Yogi and mystic, Sadhguru, looks at what kriya yoga means, and what it takes to walk this path and explore the very mechanics of the life process. Sadhguru: Fundamentally, kriya means internal action. When you do inner action, it does not involve the body and the mind because both the body and the mind are still external to you. When you have a certain mastery to do action with your energy, then it is a kriya. If you do external activity we call it karma. If you do internal activity we call it kriya. In a way, both are certain kind of karmas or both are certain kind of kriyas. But traditionally, or in the general sense of the term it is understood like this: karmas are those which bind you, kriyas are those which release you. Whatever we do with your body, your attitudes and your thought, for example today your thoughts may go in one direction. Tomorrow if another person comes and influences you, they will go another way. Similarly, whatever we do with your body, your body is well today so it likes asanas. Tomorrow morning if your body is stiff, you will hate asanas. Your emotions are not at all reliable. At any moment they can shift from this to that. But your energies are different. Once we start working with the energy in a certain way, it has a different kind of depth to life. Suddenly, there is a different dimension to every aspect of your life because your energies have been touched and activated in a completely different way. If you take someone into the path of kriya, if I tell you sleep with your legs up and head down, that is how you should sleep without asking questions because all of it can never be explained. You may understand as you go, but it can never be explained. And if it has to be explained, the essence of the kriya will be lost. If people start asking stupid logical questions for everything, kriyas cannot be imparted. If we want to teach you kriyas just as a physical practice, I can write a book about it, and you can read and learn it. But if you want the kriya to be a live process, if we want the kriya to be imprinted into your system in a certain way, then it needs discipline and dedication. It needs trust to open up your energies to the other person so that you become absolutely vulnerable. He may do anything with you, and initially you will start wondering what the hell he is doing with you because the initial stages of kriyas can be such that you don't know whether you are getting enlightened or you are going mad. You must have enough trust to sustain through those periods. Otherwise kriya will be difficult. So generally on the path of kriya, most Gurus make the disciples wait. You come and you want to learn kriya yoga. “Okay, sweep the floor.” “No, I want to learn kriya yoga.” “That is why I said, sweep the floor.” You swept the floor for one year and said, “I did one year of sweeping.” “Oh, you are done with one year of sweeping the floor? Wash the dishes.” Just make him wait, wait, and wait. Use him, misuse him, abuse him, and still his trust does not shake, “Oh, there must be some reason.” When he comes to this, then he can be initiated into kriyas. Otherwise, once you power him in a particular way that his system is vibrant beyond normal standards, if his attitudes and emotions are not proper, he will cause immense damage to himself. But in today's world, to get that kind of time with people to make them wait and go through all this and when they come to that kind of trust, then imprinting this is a little remote. It is not impossible, but it is a little remote in the modern world. Kriya yoga is important only if you want to do things beyond realization. If your interest is only to somehow escape this prison and get away, you just want enlightenment or mukti, then you don't really have to walk the kriya yoga path because kriyas are so elaborate and involve so much discipline and focus. If you just want to be liberated, then kriyas can be used in a small way, it need not be too intense. Kriya as a whole path is not necessary because it needs too much application. If you follow the path of kriya very intensely, without guidance it may take a few lifetimes to mature. If there is someone alive who can do things with you, then it can happen in this life. Otherwise kriya is a little roundabout way. 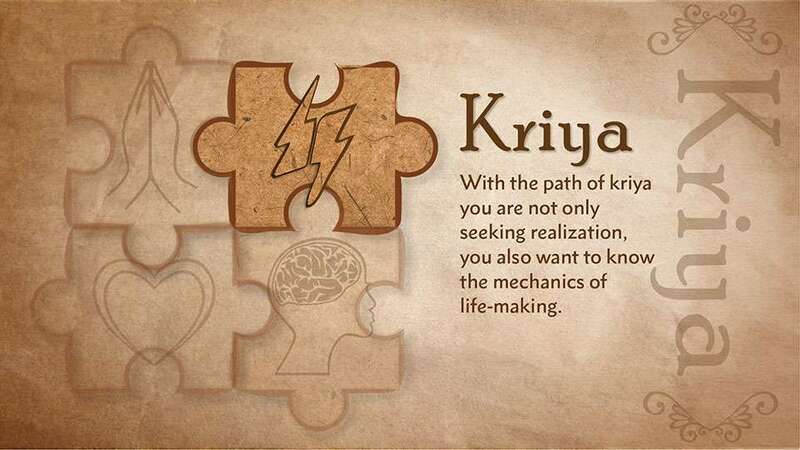 With the path of kriya you are not only seeking realization, you also want to know the mechanics of life-making. You want to know the engineering of how life is built – what to do about it. That is why it is a much longer process. People who have come up on kriya have a completely different kind of presence about them because of the mastery over their energies. They can dismantle life and put it back together. But if you are just pursuing other ways, like gnana for example, you are razor-sharp, you can do many things with your mind but still there is nothing much you can do with your energy. If you are on bhakti, there is nothing you can do and you don't care, you only want to dissolve. If you are on the path of karma yoga, you do many things in the world, but you can do nothing with yourself. But kriya yogis can do whatever they wish with themselves in terms of energy and they can do a lot with the world also. Editor’s Note: “Mystic’s Musings” includes more of Sadhguru’s insights on kriya and the human energy system. Read the free sample [pdf] or purchase the ebook. How to master the kriya yoga ? As sudhguru offers to up to samyamana . He does hata yoga programs but why there is no such kind course for mastering Kriya yoga? is there any such courses happening? I guess enlightenment has nothing to do with knowledge or capability. Simple human beings can be enlightened. What you are asking is similar after enlightment should be even easier to run faster than usain bolt? Kriyas (term) is very generic. yes anyone could do kriyas. the point he is talking about kriya yoga (the path itself) that is very tough. Oh This is totally new information to me, now i can understand the way my body reacts when doing kriyas.. Great So comfort rejoice after doing the kriyas... i have no words to say what i feel that time.. just be in bliss or the kind of things we always searching in all our doing.. If you have read the article you will come to know. Sadguruji, me first came to know about Kriya Yoga with Yoganandas " AUTOBIOGRAPHY OF A YOGI" in 1979 and till now me is grappling but nowhere near . Me is in Mahavatar Babajis lineage. Can u suggest something but after Master gives his consent. Who else Adi yogi himself. Later Krishna, and now Maha avatar Babaji who is Shiva himself is still continuing the tradition. Thanks for sharing. Really been getting into yoga for my RSI pain and back. what do you mean by Christ like? I think ultimate for ever human being is mukthi. I bow down to the supernatural powered Kriya yogis who have immense technology of human well being. Samartha, perception that Sadhguru is talking about cannot be explain logically as it will be mambo jambo for you, it can only be learnt experimentally. DId you hear the story which Sadhguru told on Vivekananda, Vivekananda took a book from an German philosopher and read the whole book of 700 pages in a hour with his eyes closed and that to book was in German. Now, isn't it a mambo jumbo for a logical mind!! I guess it is. So as sadhguru say never ask logical explanation for everything and do what you have asked to do and things will happen for you. Christ like, as in following His ways and being an expression of Him but as yourself in the here and now. We all have the potentiality of being Yogi Christ as the Great Ones who have come before and those who are striving now. To be like Jeshua The Anointed One. Read Autobiography of a Yogi by Paramahansa Yogananada. Aum Shanti Amen. I have one question though, what does it really constitute being on the kriya path? Is doing 2 hours of kriya every day, along my "normal life" count or is it more referring to full time? Who invented Kryia yoga in the first place? Why use word christ-like? A certain christ stand is just an eyewash in Autobiography of Yogi. Parahamsa Yogananda's group has christened itself due to heavy western influence and western monks in command of it. The illustrious lineage of Kriya masters stand way beyond. Why my body trembles while doing Isha Kriya. It doesn't happen when I do Nada yoga or meditation. ? Dear Sadguruji, I am following Jnyana yoga through studies of Advata Vedanta. Can I also seek Kriya yoga? I am keen on practising Kriya Dhyana Yoga. Will it help my spiritual evolution? Great Masters like Paramahansa Yogananada and his lineage of Kriya Masters are Christ-like because of their mastery of the Kriya Yoga path. Is it possible to learn the mechanics of life-making AFTER enlightenment? Maybe someone goes quickly with the path of bhakti, karma of jnana. After attains enlightenment it should be even much easier to learn the kriyas. Why from the context seems to be impossible? What is there that we don't know or we should not know? This discourse gives so much clarity...I was really thinking whether I was getting crazy during the kriya, but I am happy that my trust never shook, and now, everything seems to be in balance! I still don't know on which path I am...all I know is that I am "Walking with the Lord..."
I don't know who invented kriya yoga, but I have read somewhere that Krishna have given kriya yoga instructions in bhagwad gita. he is referring to full time. This is very true, coz, our family's spiritual Guru is a Kriya Yogi and am able to relate almost every word of this blog. Have seen lives being transformed (&amp; saved from unforeseen circumstances) of so many friends, families &amp; self. Also, would like to add that a true Kriya Yogi lives an extremely ascetic life even in the midst of modern day chaos however they avoid public life to a very large extent. They have their own mysterious ways of teaching. As a matter of fact, they don't teach at all, they guide as a philosopher and show the path, choice remains ours! Folks....do refer an all time spiritual classic - An Autobiography of a Yogi by Sri Sri Yogananda Paramhansa. You will get answers to so many questions, but of course, rock like faith in whosoever you follow as your Guru and spiritual practice / path shown by your Guru is will always be the key to your ultimate spiritual goal. The Making of a Hata Yogi: Ready, Set, Go!